Abcom's eProphet Accounting system is now available to all "eProphet" and "eBOS" sites throughout Australia. The full system adds our new generation Accounts Payable, Account Reconciliation, General Ledger and Financial Reporting functions to eProphet Payroll to provide the ultimate single, integrated accounting systems package. You will be excited by its new features that will save you time and money when performing these tasks for years to come. 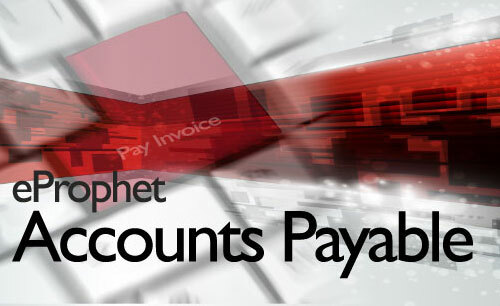 eProphet Payroll has now been successfully installed for over 200 McDonald's stores. The eProphet Payroll system adds a range of new features and functionality to the proven Abcom payroll approach without over-complicating the process. Users of our legacy payroll software will find the system significantly advanced, with more flexibility and improved award interpretation, but still retaining many familiar elements that make the Abcom payroll system so intuitive and easy to use. And of course Abcom is a "one stop shop" for all aspects of these systems. Not only does Abcom fully own the "IP" (intellectual property) of this system - but we also provide the implementation, data conversion, training, software maintenance and ongoing user support. No third parties, giving you a complete, ready-to-go package. There has been substantial interest in the full eProphet Accounting package from our customers, so it’s important to contact us, so that you can also experience the power and benefits our QSR Accounting software systems provide.